Healthy, Fit, and Focused: 21 Day Fix Extreme is HERE...Get it now PLUS my support! 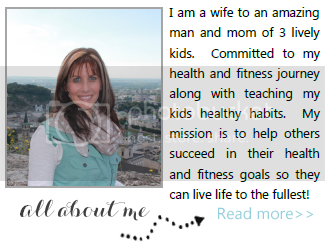 21 Day Fix Extreme is HERE...Get it now PLUS my support! It's FEBRUARY!!! Can you believe it? 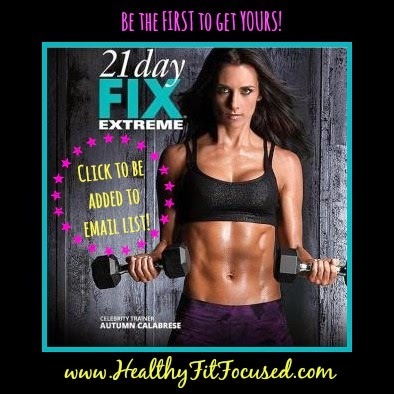 The LAUNCH of the 21 Day Fix EXTREME is HERE!!! It is finally HERE and ready for YOU!!! To check out all the promotions surrounded around the 21 Day Fix and 21 Day Fix Extreme click HERE!! I want you to know that I am here to support you in any way that you need! I have accountability groups starting on February 9th for the 21 Day Fix Extreme and February 16th for any other program (not the Extreme!). Basically, a challenge group is an online private Facebook group used for daily motivation, support, and encouragement to help you reach your health and fitness goals and stay committed to the decision you've made to become healthy and fit. You will receive daily motivation and tips to keep you encouraged and accountable. This is a way to offer amazing peer-to-peer motivation and support with people who are going through the same fitness programs and changes as you! Most importantly, the accountability this group brings is the KEY to your success! Let's face it, it is hard to stay on track by yourself! So why not join together with other people with the same goal of losing weight, getting in shape and becoming more healthy! How do I join a Beachbody Challenge Group? Ready to commit 100% to your health, fitness and nutrition? If you're ready to join a challenge group and get support and accountability and motivation, then fill out the application below so we can discuss YOUR goals and find the best fitness program for YOU and get you added to the next Challenge group! What are the Requirements to Join the Challenge Group? Your commitment to the group is key to your success! I am committed to your success and helping you reach your goals, but it's a 2 way street!